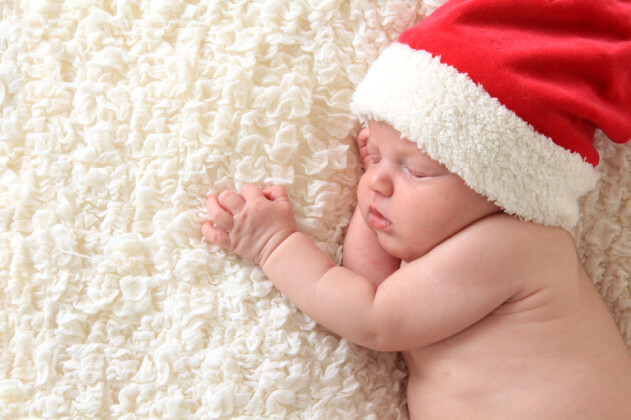 If you have a parent of a brand-new baby on your Christmas list, you’re probably feeling a little stymied. They never have time to read or watch movies anymore, and that beautiful scarf you spent hours knitting is only going to end up living out its days as a burp cloth. Sure, you could get them baby clothes, but they already have millions of those, and besides, you’d like to get something special that’s just for them. Remember those little books of chore coupons you used to make for your mom and dad when you were a lazy kid who forgot to shop for Christmas presents? Remember how your parents were totally unimpressed, because if they wanted you to mow the lawn they could just tell you “no video games until you mow the lawn”? Well, now is the time when your coupon-making skills will truly be appreciated. Offer to come over and change their sheets, walk the dog, put away the dishes, or vacuum. Mention in the fine print that your assistance with chores does not come with the expectation that you’ll get to hold the baby. Nothing will kill their appreciation faster than you demanding they hand over the infant, regardless of whether she’s hungry, fussy, or has just gone to sleep after hours of crying. Trust me: If a new parent wants you to hold the baby, they will let you know. 2. The advanced version of chore coupons: Hire them a cleaning service. They will start a religion in your honor. For when they need coffee (which is always), but don’t have the energy to wash the coffee maker they used yesterday (which is also always). For bonus points, a bottle of Bailey’s to add to the coffee. 4. Better yet, some kind of coffee delivery service. Where someone will come to the door every day with fresh, hot coffee, knock politely, then set it on the porch and leave, so as not to embarrass the new parent by witnessing their stained T-shirt and unwashed hair. 5. The same thing as above but with beer. 7. A subscription to Audible. Sitting down to read a book or watch a movie? Not so much. But listening to a few pages of an audiobook while simultaneously breastfeeding, folding laundry, and eating a granola bar—now that might be feasible. This gift is best when accompanied by several book recommendations, since no new parent is up on the current state of pop culture. Gliders and rocking chairs are great, but nothing soothes a fussy baby quite like bouncing on an exercise ball. Every parent needs one. 9. Some really good yoga videos. All that bouncing with a baby in their arms is going to wreak havoc on the lower back, and nobody, but nobody, is making it to the gym when they have an infant. 10. A prepaid meal from a restaurant that delivers. No matter how well-prepared they are, no matter how much soup they made and froze before the baby got here, no matter how much they’re determined to stay on top of the housework, there will come a day when the sink is full of dirty dishes and the only food in the house is some stale Cheerios and a shriveled-up lemon. On that day, if you have been thoughtful enough to come over and stick a gift card to their local pizza or Thai place on the refrigerator, your friend might just retroactively name their baby after you. 11. A family picture session with a professional photographer. This comes after they’ve had a chance to get their hair trimmed and the bags under their eyes have faded. So, sometime in the 2020s would be great. 12. More than anything else, a reminder that you love them, you support them, and they’re doing a great job. Being a new parent is so hard. Not only are you overwhelmed, sleep-deprived, and incapable of prioritizing your own mental and physical health, but you constantly feel like you’re falling short. Whether it’s zoning out at work, letting clutter pile up around the house, or being totally unable to figure out why the baby is wailing, learning to be a parent means you spend a lot of time feeling like a failure.